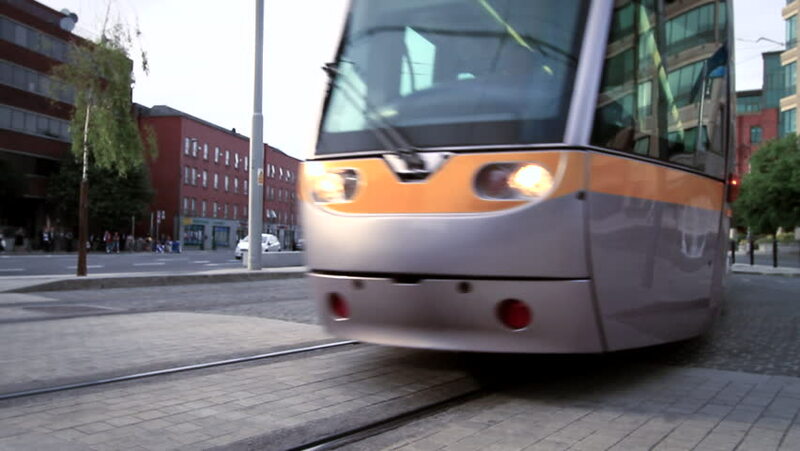 Public transport tram system called Luas in Dublin, Ireland. 4k00:27Firenze, Italy - Circa March 2019: new high speed frecciarossa 1000 of Trenitalia train company is departing from the station. hd00:15CUENCA, ECUADOR - APR. 2014: Pedestrians suffer from bus fumes, prevalent in scenic Cuenca. Church - De Todos los Santos - in distance, framed by mountains. 4k00:18SAINT-PETERSBURG, RUSSIA - December 28, 2016: Passengers boarding the train sapsan at the SAINT-PETERSBURG station. hd00:15London, United Kingdom - January19, 2013: Red Double Decker Bus at London Bridge Intersection Day Traffic in London, United Kingdom.